I was lucky to be one of the first few people who have experience Tibiao Fish Spa on its pre-opening night at SM City General Santos on March 14, 2014. Tibiao Fish Spa formally opened its services to the public the day after. 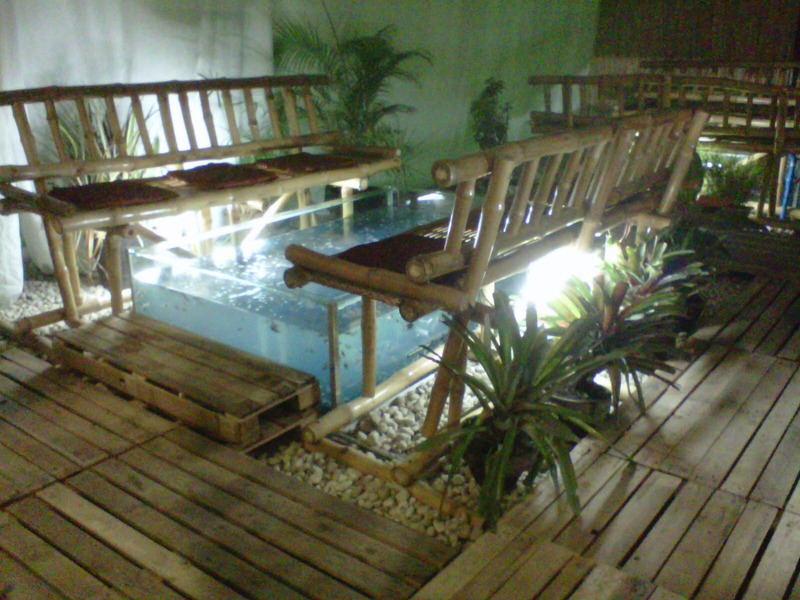 It is the first mall-based fish spa in Mindanao and is located at the ground floor of SM City GenSan right across BDO. Tibiao Fish Spa started its operations in Tibiao, Antique back in 2009 then it opened another branch at SM City Pampanga in 2012. 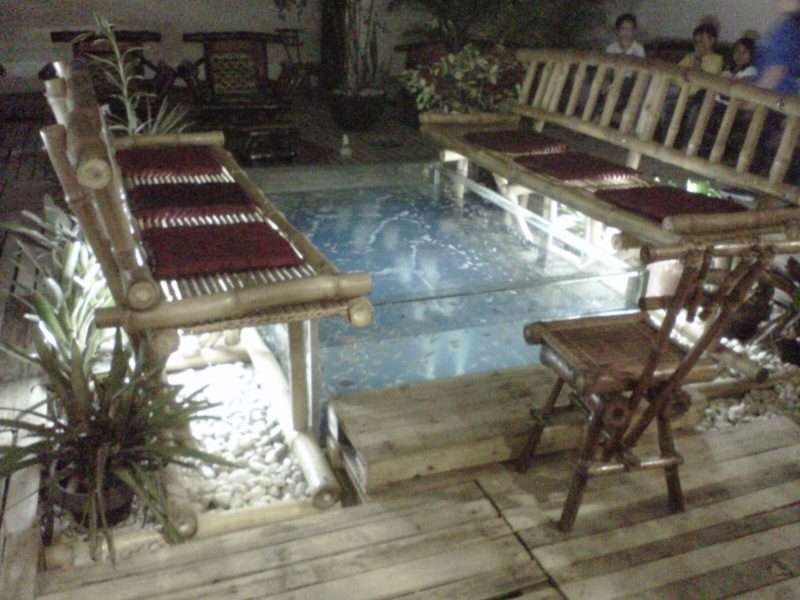 What sets it apart from other fish spa in the country is it uses locally grown fishes found in Tibiao, Antique. Flord Nicson Calawag, General Manager and Franchisor of Tibiao Fish Spa calls these fishes THERAfish due to its sandpaper-like teeth that may render therapeutic benefits. I was laughing in the first few minutes of my fish spa experience. The ticklish sensation got over me. Soon after, I started getting used to it and enjoyed a relaxing experience with the THERAfishes. I found it really cool to be pampered with those fishes. I will definitely go back there some other time for more “fishy” exfoliating experience. Tibiao Fish Spa usually offers three types of fish pools ranging from the beginners pool with small THERAfishes, the intermediate with medium-sized fishes and the extreme pool with large fishes. As of now, Tibiao Fish Spa in Gen San only offers the beginners pool but as soon as the fishes get bigger they will have the other two options for spa goers to enjoy. Tibiao Fish Spa will also offer other services such as foot massage and full-body integrative massage to give its guests a total relaxation and pampering experience. Want to try it? Visit Tibiao Fish Spa at the Ground Floor of SM City Gensan fronting BDO. You can have an exfoliating experience for only P199 for 30 minutes plus 5 minutes of foot spa! Please share, like or comment if you find this post useful. Thank you for reading.